Let’s face it – any pet has the potential of making a mess in your car. Whether it’s a short trip to the nearest grocery store, a long holiday trip or just 5 minutes of leaving them in the back seats, pets are linked to mess. If you take that along with the fact that you recently dry-cleaned your car (or you bought a new one), the mess can turn to a frustrating experience for any vehicle owner. Luckily, there is a solution on the market that prevents this mess from happening. We are talking about the best pet car seat covers and their amazing function – to keep of the dirty paw prints, do hair and all the mess from your car seats. Below, we are listing the best pet car seat covers available on the market and made from reliable manufacturers. Standard and X-Large. 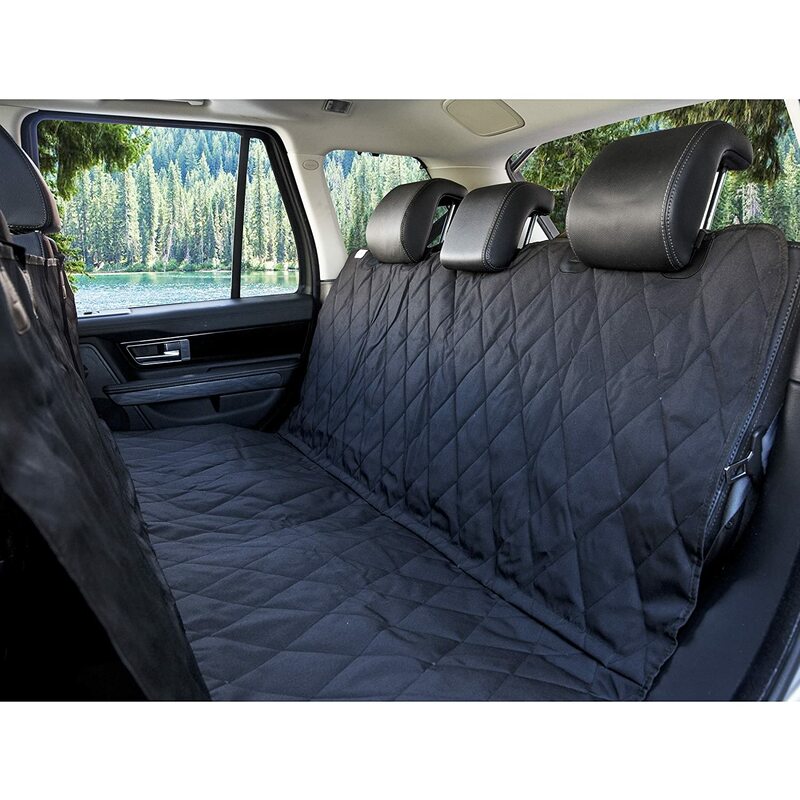 It is designed for the backseats of standard cars, trucks and SUVs. However, what makes it great is the fact that it can easily convert between hammock or standard bench cover. Speaking of which, the bench section of the seat cover is designed with 7-inch SIDE FLAPS which are extensions offering extra coverage to the side of the seat cushions. On top of this, the seat cover is fully waterproof. 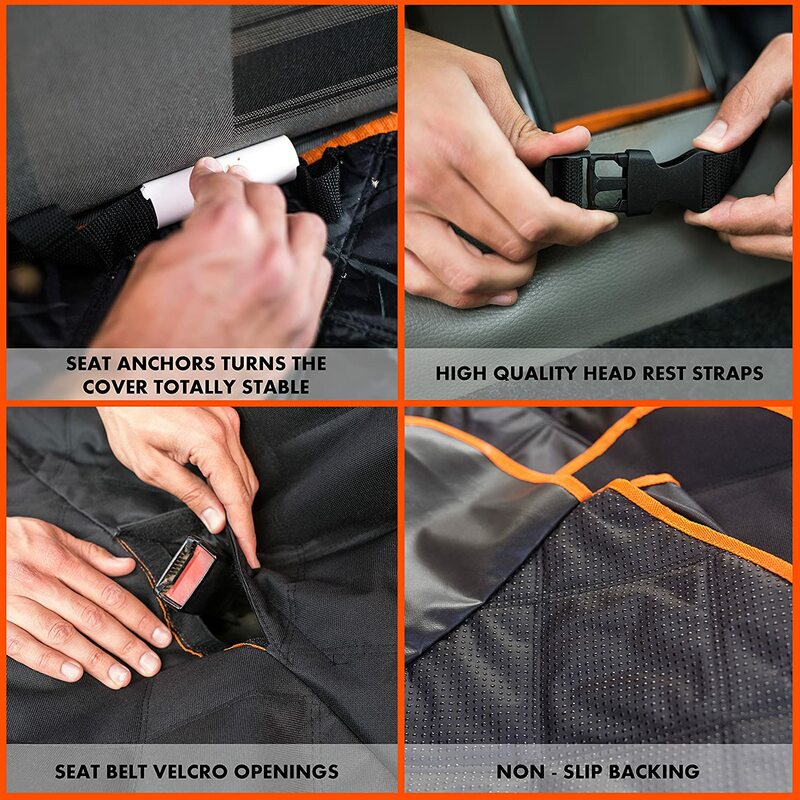 It is made of high-quality polyester and includes Velcro Openings for your seatbelts as well as seat anchors that prevent the seat cover from sliding around. You will never have to worry about damage to your vehicle anymore as this product is tested and able to withstand extreme temperatures too. 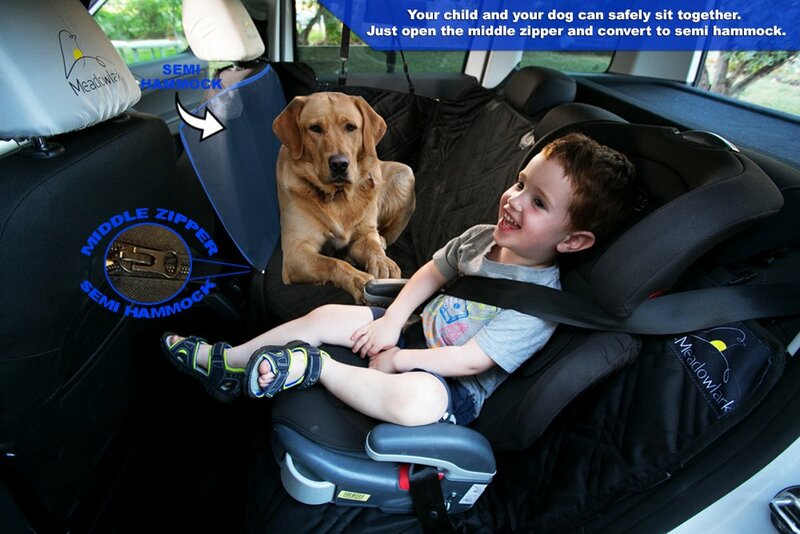 Second on our list is the Doggie World Dog car seat which offers high protection for any car. 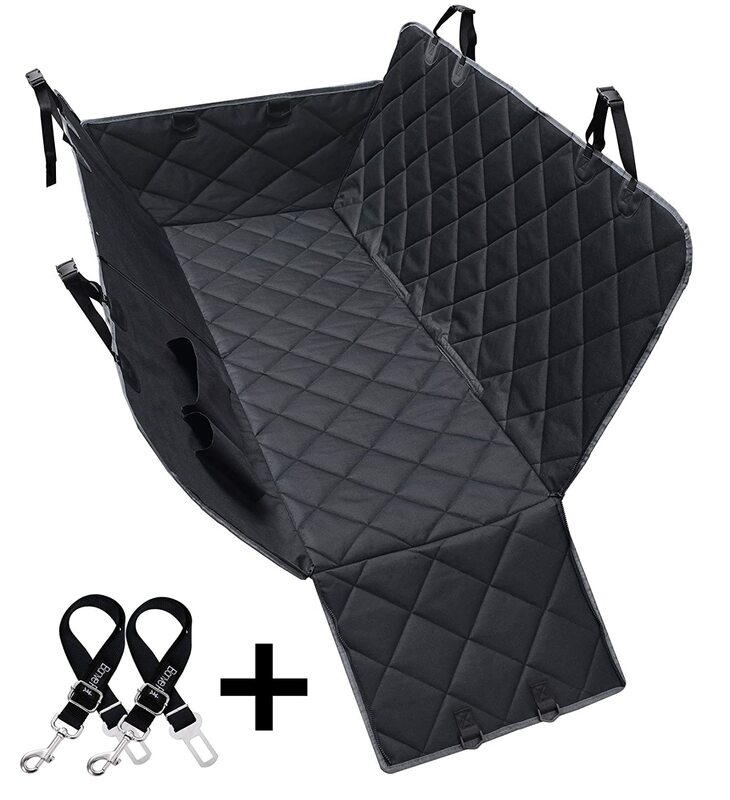 This dog seat will keep your dog comfortable and safe during a car ride and will also prevent scratches, dirt, dander and spills all while preserving the condition and integrity of your car’s upholstery. Whether it’s a trip to the dog park or a holiday, this cover is easy to install and use and definitely easy to clean. It takes only a few seconds to install it on your car seat covers – all thanks to the multiple straps that can be wrapped around the headrest. All in all, this product is made of high quality, is waterproof and non-slippable. For many customers, it is the ‘perfect dog hammock’ for use in different vehicles. The Meadowlark pet car seat covers are among the best reviewed products on the market right now. With them, you don’t have to worry about hair, scratches, water or dirt on your back seats anymore. There is a 100% money-back guarantee from the manufacturer without any questions asked. Many satisfied customers say that this product has the highest quality and best materials out there. 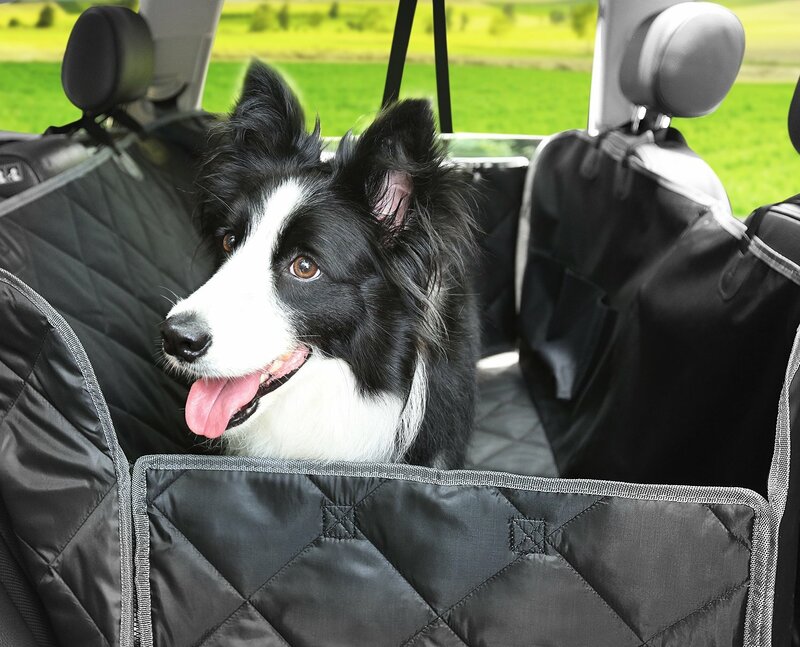 The car seat covers for dogs have been uniquely designed with heavy-duty materials preventing leakage and being completely waterproof and non-slip. There are three layers of support with the best protection and long-lasting use. However, the best thing about this product is the full protection for doors, headrests and backseat. With it, it is virtually impossible for your dog to dent, scratch or cause damage to your car interior. This product comes in two different types – as back seat cover and as front seat cover. It is a hammock that is convertible and one that features extra side flaps. 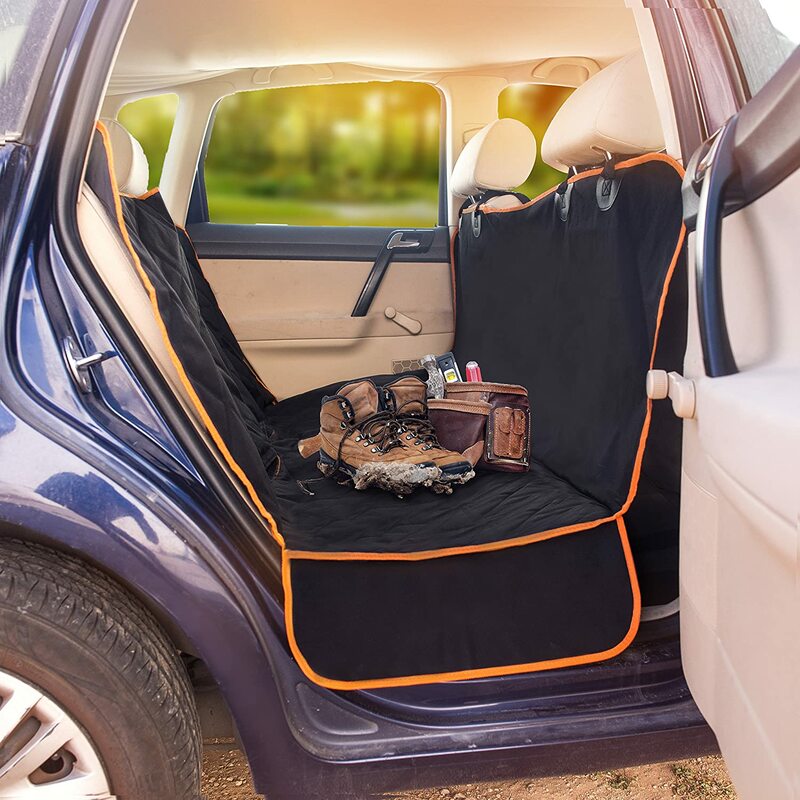 The upgraded seat cover perfectly protects your seat from all the mud, pee, shedding hairs, paws and scratches – all while protecting your car’s interior from your lovely pets. There are two free pet safety belts and Velcro openings on it – and it is a universal size fit for most vehicles. You can clean it easily too, no matter if you use it for back seats or trunk. The material is washable and can be cleaned by vacuum, hand or machine. 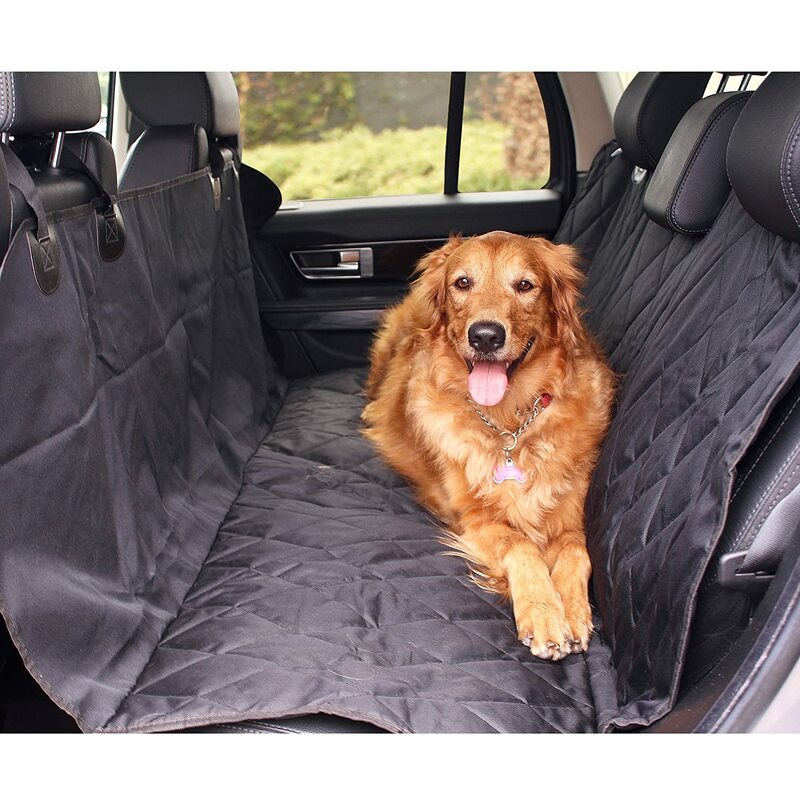 Nowadays, many pet owners looking for the best pet car seat covers want a simple solution. 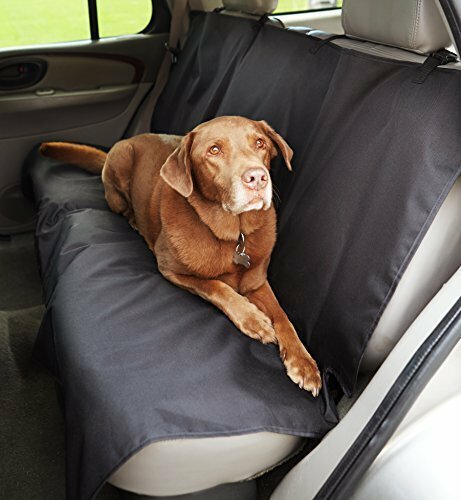 Thanks to this AmazonBasics seat cover, you can enjoy the bench or hammock styles and keep your car tidy while transporting your pets. 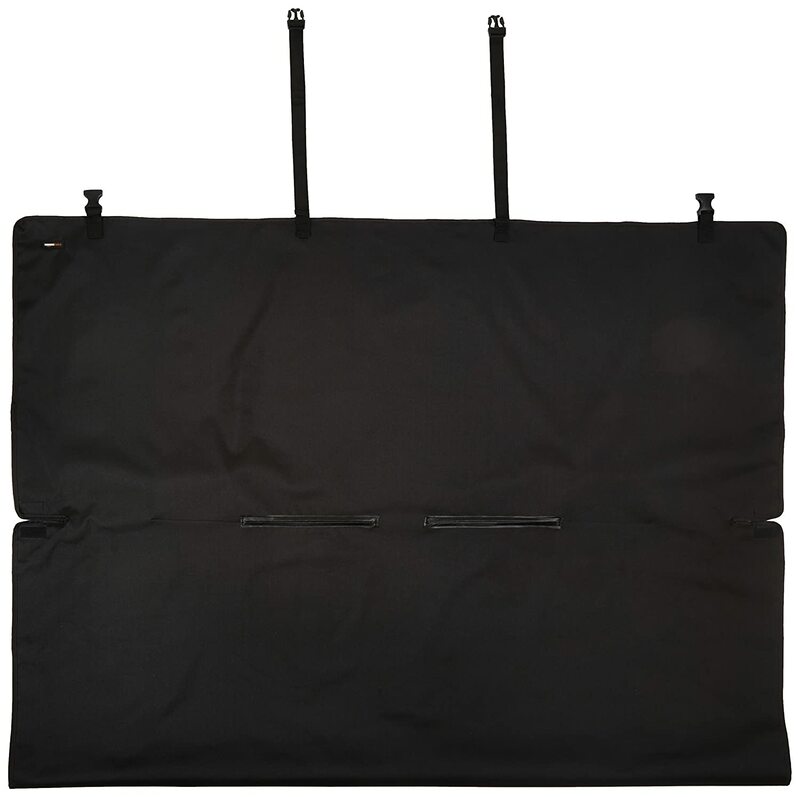 The cover measures approximately 56 x 47 inches and protects the back seat from dirt, dander, spills as well as scratches. The cover also secures over seat using two headrest loops, two anchors as well as two elastic straps. It is made of 100% polyester and can be spot cleaned only. 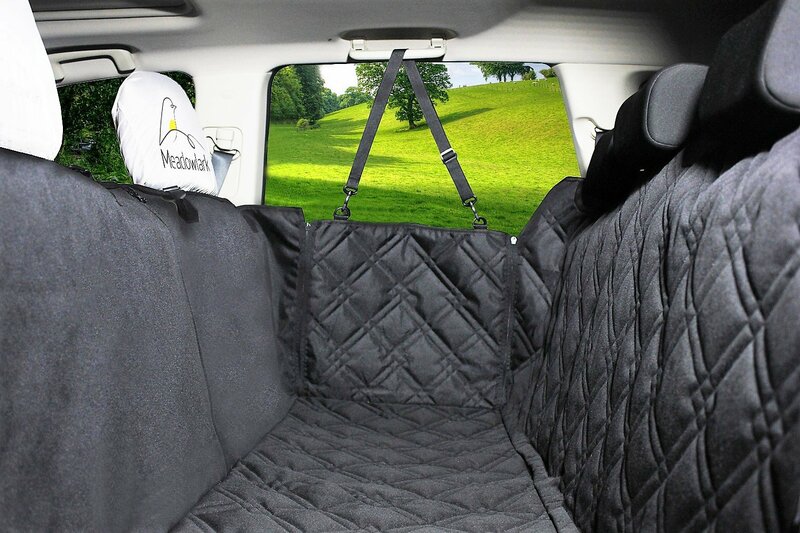 However, it is one of the simplest and most affordable pet car seat covers available online. Hardwood materials, supportive memory foam and pillowed back are among the best factors for superior stability and comfort. This is definitely a sofa that is worth having in the living room! Pet car seat covers are definitely a smart investment – not only for the sake of cleanness but also for the sake of your vehicle’s interior condition. We hope that the list of pet car seat covers above helped you choose a product that best meets your needs. Until the next road trip! The Best Dog Food In 2018: What Do Today’s Dogs Like The Most?